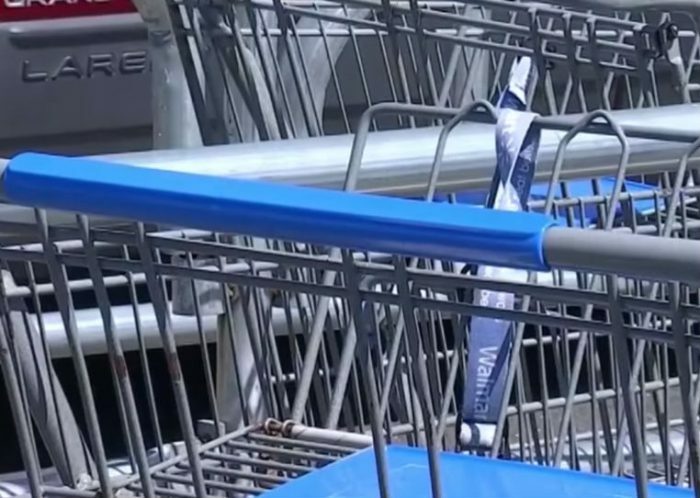 Police Issue STERN WARNING About Sick Prank Attacking Anyone Shopping At Walmart! There is a time in every person’s daily course of business where every so often they have to go to Walmart. Let’s face it, as much as we like to complain about Walmart for any number of reasons there are few of us that can actually keep from having to go to one. A recent trip to visit a member of the family made me think about something that I had never thought before when it came to going to Walmart. Before they went to grab a cart they ran the sleeve of their coat under the handle of the cart and around it. It seemed strange at the time but they later explained that it was just in case someone wedged something that could stick or poke them. I actually do it every single time I have to go shopping because there are some sick people out there. There are some people now that just want to hurt people for the sake of doing it. Unfortunately, random acts of violence aren’t as surprising anymore. There are reports all across the world about people who harm others for virtually no reason. So when an incident occurred at Walmart in Windsor, Connecticut, it only reminded me of the bad that people could do. Let’s just hope that Walmart is doing everything they can to reduce the chances of it ever happening again. Cheryl Johnson went for a late-night shopping trip to Walmart with her husband, Mel. This massive retailer has always proven to be a wonderfully affordable and all-encompassing retail story. For Cheryl and Mel, they never would have expected to find what they found when they pulled their cart out of the stack in the entryway. Mel pulled the cart backward, and then he quickly removed his hands from the handle and winced. As he held his suddenly cut palm, he glanced under the handle of the shopping cart, where a razor stuck out of it. Cheryl and Mel immediately notified the manager about the razor, filed an incident report, and called the police. They didn’t want this to happen to anyone else. While the police began to arrive, the manager rounded up his employees and had them check every single cart in the story for another razor. Luckily, no other ones were found. The police currently have two ideas for how this might have happened. First, it could have been a prank. Someone may have had the intention of harming someone for no reason because bad people are out there looking to do that exact thing. I hope it’s not the case. 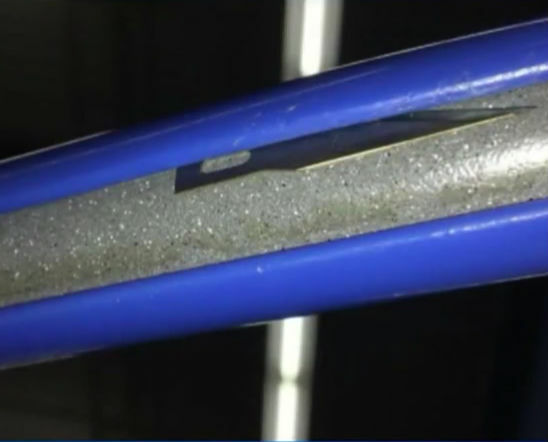 The officers’ second guess is that these razors could be there to help customers steal from retailers. According to JumbleJoy.com, Walmart Inc. says that shoplifters might be using razors to cut security tags and remain unnoticed by security cameras. Usually, the shoplifters remove the blade or place it backward so it doesn’t harm anyone, but that would mean that shoplifters are all a bit more considerate than we’d expect. And I wouldn’t bet on that. Unfortunately, this isn’t the first time this has happened. Back in 2015, Lisa Zimmerman from Dawson, North Dakota actually had the same thing happen to her. We wish that this wasn’t a common problem or that people wouldn’t be so careless or thoughtless to be doing things like this, but it keeps happening. It needs to stop before someone gets seriously hurt.